Can Mphasis do a Tech Mahindra in coming months ?? The stock was recommended at 650-670 levels, yesterday it made a high around 1040 levels and is heading towards 1100-1150 targets given in the report. Investors can look to book part profit at current levels of 1030-1050 and keep trailing their stoploss for final targets 1100-1150. 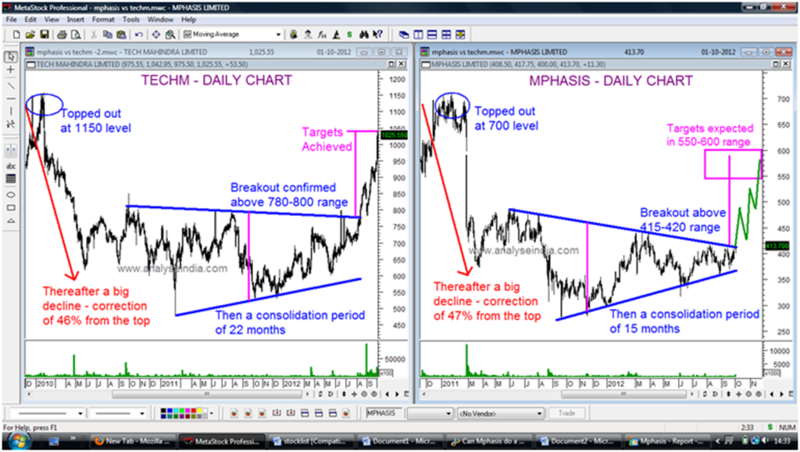 Mphasis is trading in a huge symmetrical triangle after the fall in Feb 2011. The stock is in a consolidation phase for last 15 months. It can give a big move if it sustains & closes above 415-420 range. 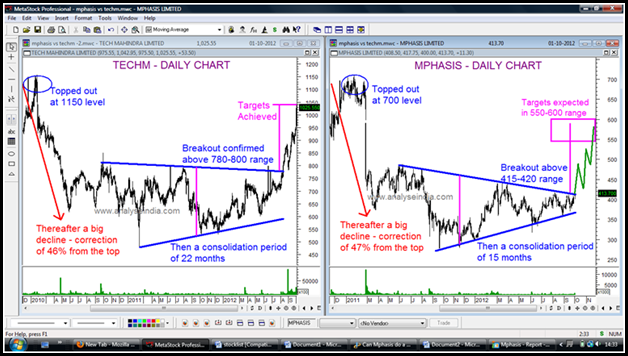 Mphasis after the breakout can head to 480-500 levels in medium term whereas long term targets around 600 are also possible in this move. closing basis and targets 480-500 in medium term. As usual your targets are spot on. Hinduja did move today 10%, i am holding BGR, Benga Asam, Andrew yule (your old fev since last 2 years) Nesco. please advice entry/exit targets for these stocks. I know you have many fans, i am one among them, Will stay for long. 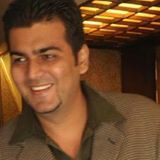 wats ur view on mcnally bharat for long term? BUY MPHASIS ON YOUR ADVISE. CAN HOLD FOR 1 MONTH…. DOWN ALMOST 20RS FROM RECO PRICE. Keep a stoploss below 380 for medium term view. Short term stoploss of 395 on closing basis. Whats your view on Jayshreetea i have 500 shares booked for 92 what do i do? yesterday mphasis closed at 394.5, still can we hold the stock the stock…. Hold with a closing stoploss of 380-385. Disclosure. adding to position bought at 410-415 at 395.